Cape Town – South African Airways hopes that its planned oversight forum in partnership with National Treasury will see the once troubled national carrier breaking even and funding its own operations by the year 2021. A delegation from SAA met with Parliament’s Standing Committee on Appropriations to reassure MPs that they would soon act on government’s fresh commitments to steer the carrier in a more stable direction. However, the board maintained that the government was not considering a sale, in spite of the cost to government of running it and the financial challenges it has faced. The board also counted out the possibility of putting the carrier under business rescue, as unions have demanded. Under former SAA chair Dudu Myeni the national carrier was hobbled with financial constraints and stayed functioning, in part, through the doling out of government guarantees. The company has already told National Treasury that it will need R5bn to come to grips with its debt. 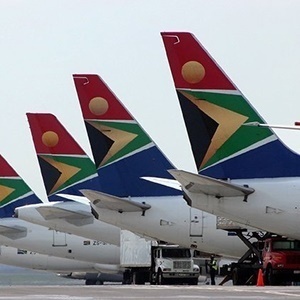 On Tuesday SAA leadership got a firm grilling from the Standing Committee on Public Accounts where CEO Vuyani Jarana admitted that the carrier was burdened with debt and a weak balance sheet. SAA chair JB Magwaza told the committee that the oversight forum would include National Treasury and concentrate on aspects in the business including rooting out theft and making its supply chain management more efficient. “The oversight committee will look at instruments of funding. It takes a lot to get to a certain capability and profile in order for a company to be able to do certain things. Even with money there are structural problems at hand in SAA including modernising the business,” said Magwaza. Magwaza said the cash injection which SAA was looking for was underpinned by the plan to turn it around and have it breaking even by 2021. Beyond 2021, the entity should be able to cover its own costs if the plan works, he said. Jarana told the committee that with the growth in the national and regional aviation industry, SAA’s challenges robbed it of golden opportunities for growth and market share dominance that the board intended on exploiting soon. “Ours has been a case of losing share in an aviation market that is growing. SAA still has a chance to grow if we get our act together. It’s not the kind of growth where in order for you to win someone else must lose. We should be able to grow and thrive for ourselves at this time,” Jarana said. On behalf of Minister of Finance Nhlanhla Nene, Deputy Minister of Finance Mondli Gungubele said the path to recovery for SAA had been well considered by both the new board and National Treasury. He said the forum would consider SAA’s capital structure and funding model over the next six months. “There is a clear turnaround strategy which is well received particularly in the financial sector in terms of its logic. In the 2018/19 financial year we are looking at a R5bn net loss and R2bn in the following year. In 2021 we hope that the entity will be breaking even. The path has been tested scientifically,” said Gungubele. However, in spite of recent speculation that the government was considering the sale of struggling entities, Gungubele stressed that the timing was not right for government to consider cutting its ties with SAA in a way that would yield meaningful benefits, "as cutting ties would cost in the area of R60bn to list it". “Another option has been about throwing this entity away. The implications would be no less than R60bn as opposed to turning this company around. We accepted that it is worth it to stick it out and we are open to being interrogated,” said Gungubele.